Everyone loves comfort foods especially when it is cold outside! 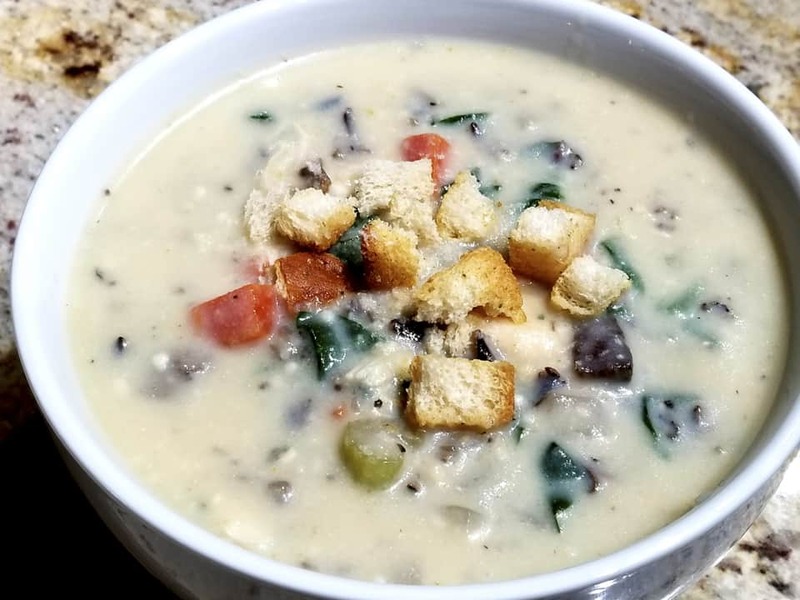 Since I am always trying to find ways to make my recipes healthier I came up with a way to make these two recipes taste really delicious and comforting without all the guilt you feel after eating them….let alone having to take a nap after! These recipes are also a great way to sneak more vegetables into your diet. No one will ever know they are eating something healthy either! I hope you enjoy these recipes and share them with your friends. Add the cauliflower to a pot and cover with chicken broth. Simmer covered until the cauliflower is very soft. Let cool. Put the mixture into a blender and blend until thick and smooth. Taste and add salt and pepper if needed. Set aside. Sauté carrots, celery, onion, and mushrooms in olive oil. Add salt and pepper and cook until soft. Add sherry and spinach and cook until wilted. Add the chicken broth, cauliflower mixture, milk, chicken, and rice. Heat until hot and serve. Place cauliflower and chicken broth into a pot and simmer covered until the cauliflower is really soft. Let cool. After it is cooled put it into a blender and add the parmesan cheese, nutmeg, and pepper. Blend until very smooth. Set aside. Meanwhile add the oil or melted butter, salt, pepper, and parsley to the bread crumbs stirring until the oil has coated all the bread. Set aside. Mix the ham, onions and vegetables together and spoon into 5 individual serving dishes. Ladle and even amount of the cauliflower sauce into each dish on top of the ham mixture and stir to combine. 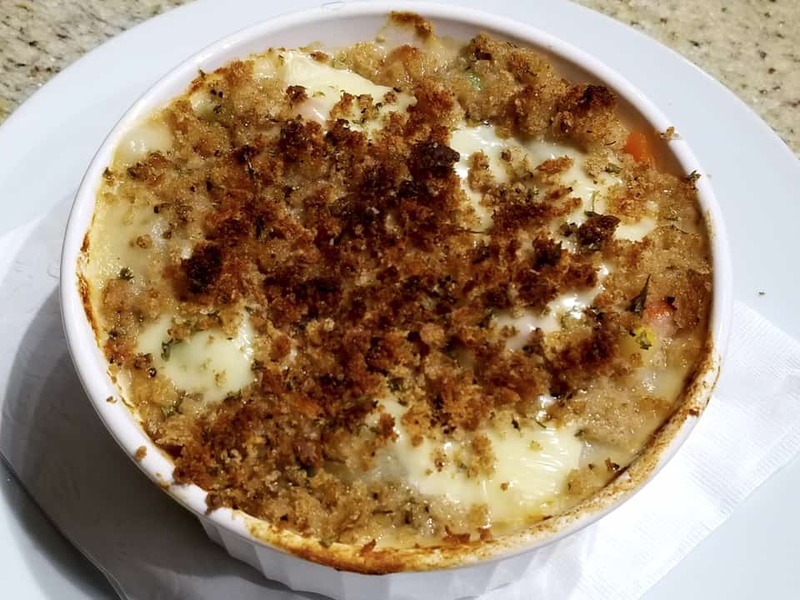 Top with a slice of cheese and then the breadcrumbs. Bake at 350 until bubbly and browned. If the bread crumbs get too brown before it is done just drape a piece of foil over them. The post Healthy Cold Weather Comfort Food appeared first on Total Gym Pulse.